These first full weeks after short holiday weeks ... bleh. Right?! Even though I'm not in my old corporate job, it still just feels like a long way until the relaxed spirit of the weekend. On a different note, dinner last night was super yummy and easy too. Ian sliced up some tomatoes and mozzarella and washed some basil leaves from the backyard. 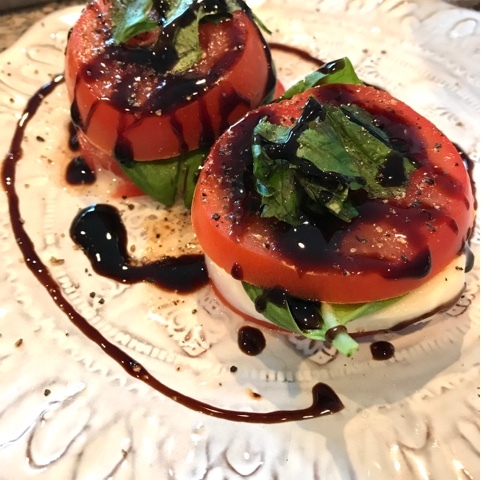 A very impressive and artistic drizzle of some balsamic glaze and I was all "thanks for showing me up in the kitchen, hon." 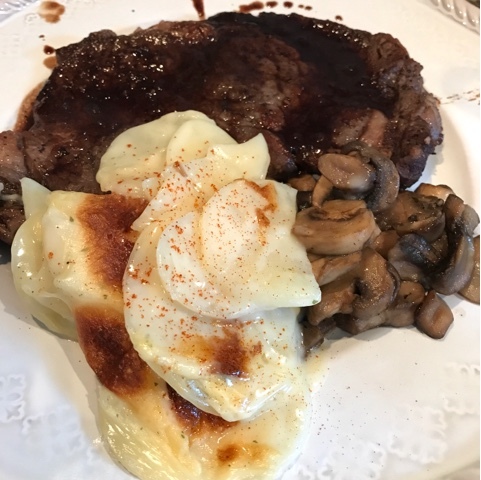 MY contribution which was still delicious was our steak, sauteed mushrooms, and scalloped potatoes (the easy kind from a box is our guilty twice-yearly pleasure). 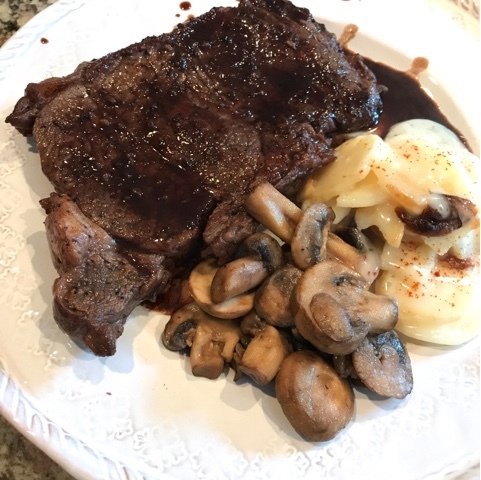 The steak recipe is one that I got from my aunt and we first tried it this past Valentines Day (recipe HERE). Ever since preparing it this way, we can't imagine a tastier way of cooking steak! It was a hearty dinner and just the perfect way to end the weekend. Tonight? Marinated chicken thighs! Vertalingen in context van "dinner last night" in Engels-Nederlands van Reverso Context: This is from Baron's dinner last night.